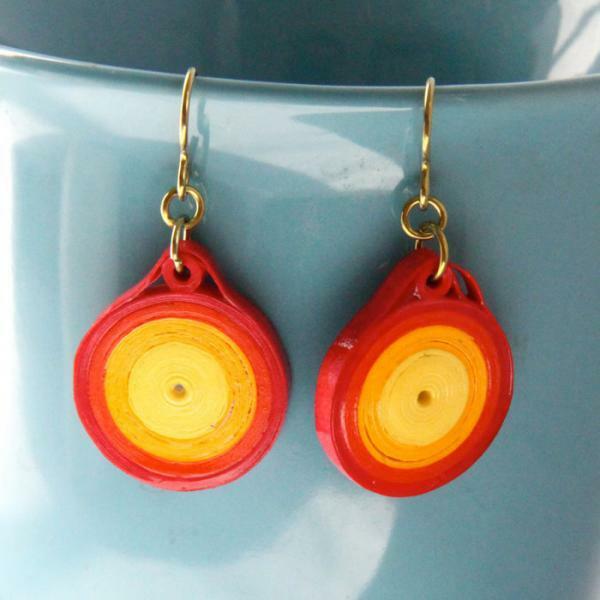 Bright and bold, these neon eco-friendly fire colored circle earrings are sure to get noticed! 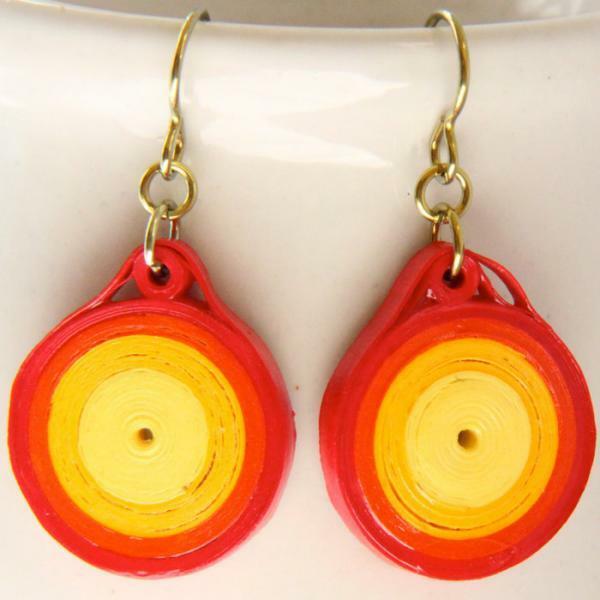 They are handmade by paper quilling with specialty paper in yellow, orange, and red shades. 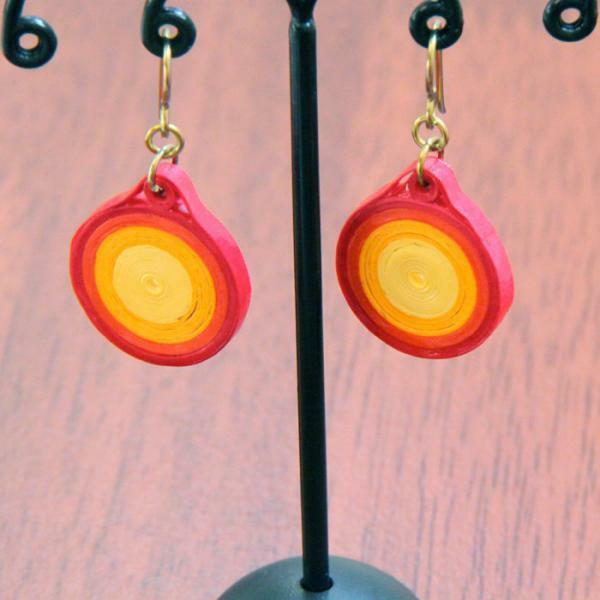 The earrings are hand varnished in several layers with non-toxic sealants for a very sturdy and water resistant finish. 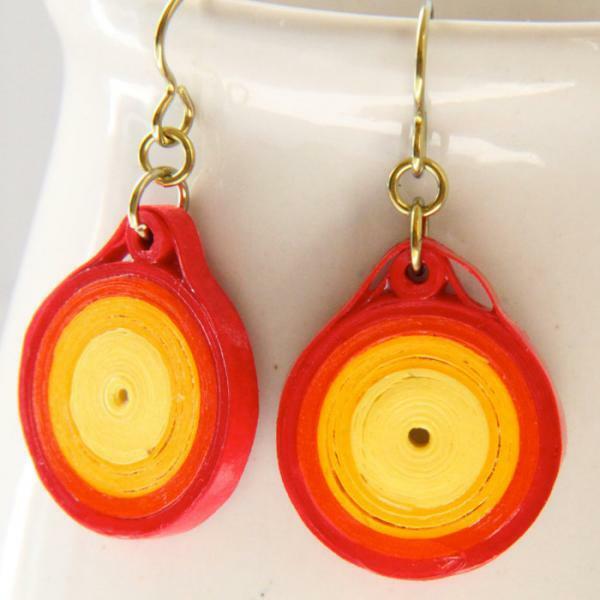 Each earring measures 13/16" (2cm) in diameter. 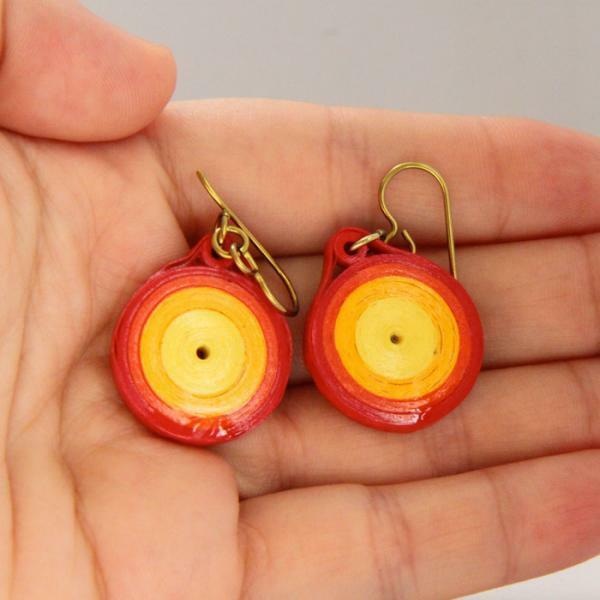 See the last photo for a size comparison.